Isono, Kaori, et al. “Generation of familial amyloidotic polyneuropathy-specific induced pluripotent stem cells.” Stem Cell Research (2014). Luo, Lan, et al. “Effects of antioxidants on the quality and genomic stability of induced pluripotent stem cells.” Scientific reports 4 (2014). Mull, Amber N., Amanda Klar, and Christopher S. Navara. “Differential Localization and High Expression of SURVIVIN Splice Variants in Human Embryonic Stem Cells but not in Differentiated Cells Implicate a Role for SURVIVIN in Pluripotency.” Stem Cell Research (2014). Fukamachi, Hiroshi, et al. “CD49fhigh Cells Retain Sphere-Forming and Tumor-Initiating Activities in Human Gastric Tumors.” PloS one 8.8 (2013): e72438. Liu, Yang, Shinji Sakai, and Masahito Taya. “Impact of the composition of alginate and gelatin derivatives in bioconjugated hydrogels on the fabrication of cell sheets and spherical tissues with living cell sheaths.” Acta biomaterialia 9.5 (2013): 6616-6623. Nakajima-Takagi, Yaeko, et al. “Role of SOX17 in hematopoietic development from human embryonic stem cells.” Blood 121.3 (2013): 447-458. Terai, Hideki, et al. “Activation of the FGF2-FGFR1 Autocrine Pathway: A Novel Mechanism of Acquired Resistance to Gefitinib in NSCLC.” Molecular Cancer Research 11.7 (2013): 759-767. Higuchi, Takuma, et al. “High Expression of Nuclear Factor 90 (NF90) Leads to Mitochondrial Degradation in Skeletal and Cardiac Muscles.” PloS one 7.8 (2012): e43340. Koyama, Noriaki, et al. “Human induced pluripotent stem cells differentiated into chondrogenic lineage via generation of mesenchymal progenitor cells.” Stem cells and development 22.1 (2012): 102-113. Ishiwata, Toshiyuki, et al. 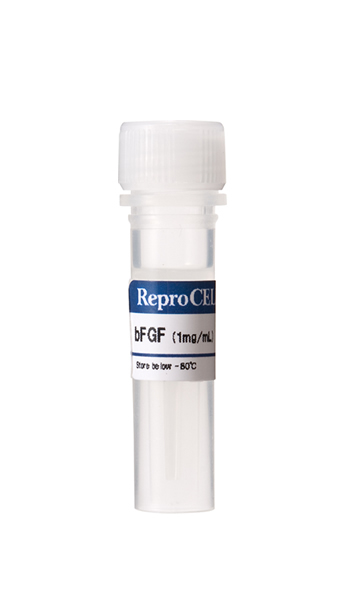 “Enhanced expression of fibroblast growth factor receptor 2 IIIc promotes human pancreatic cancer cell proliferation.” The American journal of pathology 180.5 (2012): 1928-1941. Nomura, Yoshiaki, et al. “Human periodontal ligament fibroblasts are the optimal cell source for induced pluripotent stem cells.” Histochemistry and cell biology 137.6 (2012): 719-732. Sato, Atsuki, et al. “Expression and role of nestin in human cervical intraepithelial neoplasia and cervical cancer.” International journal of oncology 41.2 (2012): 441-448. Shimojima, Keiko, et al. “Reduced PLP1 expression in induced pluripotent stem cells derived from a Pelizaeus?Merzbacher disease patient with a partial PLP1 duplication.” Journal of human genetics 57.9 (2012): 580-586. Yabe, Tomio, et al. “A peptide found by phage display discriminates a specific structure of a trisaccharide in heparin.” Journal of Biological Chemistry 286.14 (2011): 12397-12406. YAMAMOTO, TeTSuSHI, TOSHIYuKI ISHIwATA, and ZENYA NAITO. “Morphological and cytoskeletal alterations of nervous system tumor cells with different culturing methods.” International journal of oncology 38 (2011): 1253-1258.